By definition a TREND is a general direction in which something is developing or changing. If that is the case then we are trendsetters here at The Sign Depot. We strive to always be unique and innovative when it comes to creating our custom signs. We approach each project individually and look for ways to help our clients get noticed. 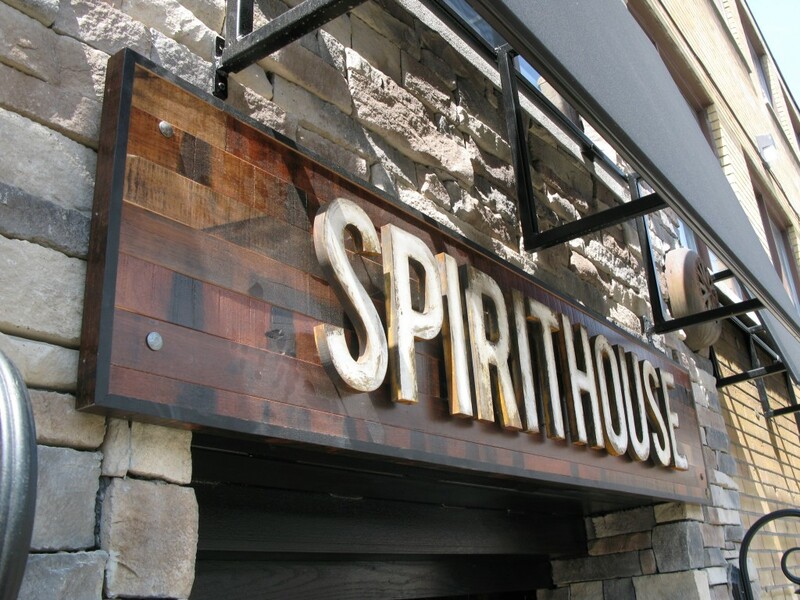 We have been recognized for the uniqueness of our custom barn board signs by winning Runner Up for Best Business Sign for the Spirithouse sign we created, but the real trend began when barn board started popping up in Kitchener Waterloo. When clients come in with sign concept in mind we work hard to create the vision they have in mind. This was the case with the Death Valley’s Little Brother sign. When Death Valley’s Little Brother needed a rustic looking wood sign that would catch the eye of passers-by we knew this would be an out of the ordinary custom business sign. 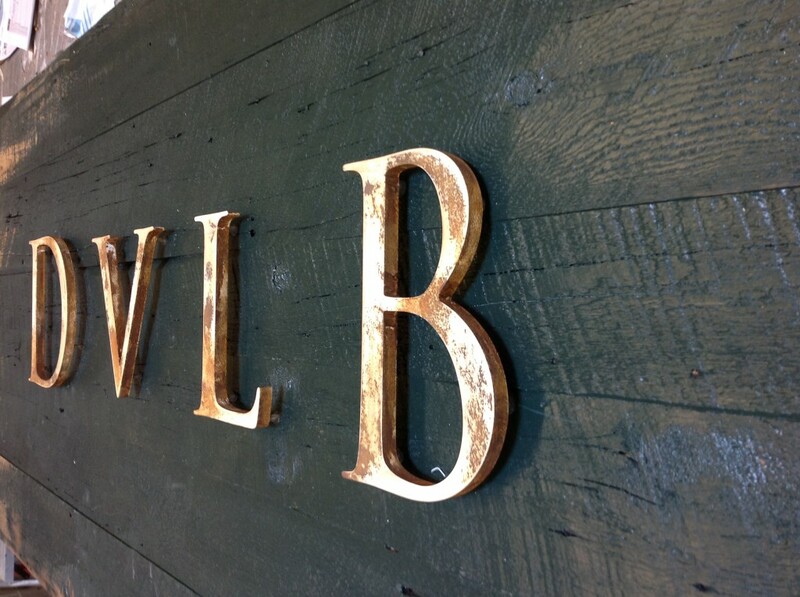 Barn board was used as a backer for the rusted finish individual cut out letters. In order to give a lot of contrast between the wood and the letters the reclaimed barn board with given an distressed finish and the letters were pin mounted to add dimension to the sign. Once the Death Valley’s Little Brother sign was installed in Waterloo, we started receiving inquiries about rustic look wood signs. The Truth Beauty Compay. contacted us regarding their upcoming move and wanted to have a vintage-look wood sign created for their new location. 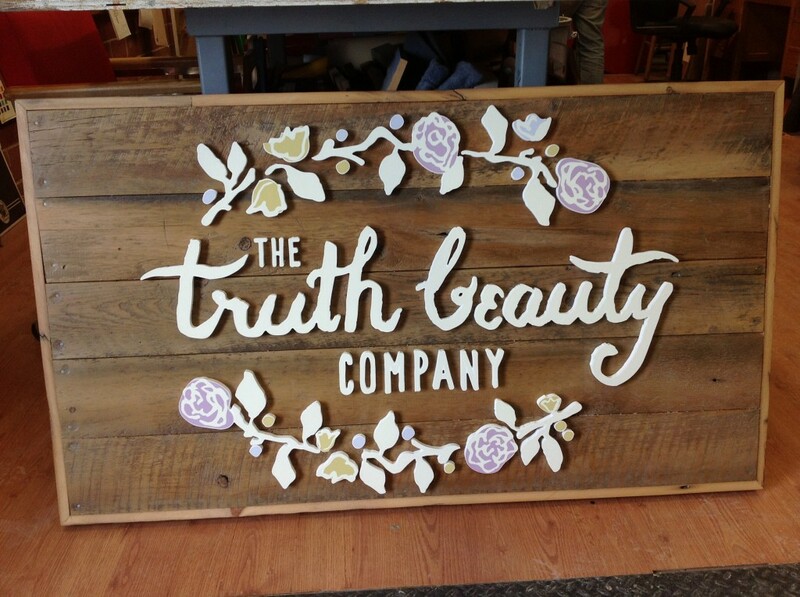 You can read more about their sign creation over on our post Custom Vintage Look Wood Signs. Another inquiry came from Cheeses Murphy. 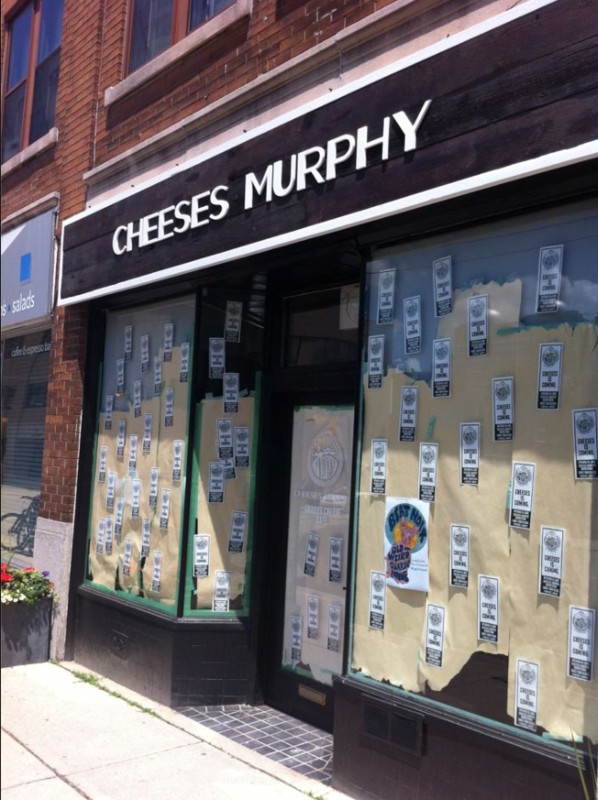 Cheeses Murphy is a late night grilled cheese eatery that was about to open a second location in Downtown Kitchener. They had noticed the custom wood signs that their Uptown Waterloo neighbours had and came to us to create a barn board sign for their new establishment. Take a look at our Reclaimed Barn Board post to learn about the process to make their sign. Because of the many retro-look signs we have created over the past few years we are getting a lot of calls about signs made from reclaimed materials and even for new signs that have a distressed look. It is a design trend that we love. Using a variety of materials and fabrication methods is something we specialize in. Finding ways to create dimension through artistic signage is what makes us unique in the sign industry. What makes you a trendsetter in the marketplace? Leave a comment with your answer! We want to know what makes you stand out! I really like how you used barn wood for one of your custom signs. I think that adds a unique, old-fashioned look to it. I really like when wood is used for signs, walls, and flooring. It adds a authentic feel to the area, don’t you think? Thanks for showing some examples of signs!